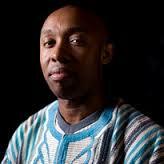 Chidi Odinkalu is a Nigerian lawyer and human rights activist based in Abuja Nigeria. He was the former Chairman of the National Human Rights Commission, NHRC. He attended Nigerian Law School and was called to bar in the year 1988. He was admitted to the Bar on the same day, i.e on Nov 3, 1988 alongside notable Nigerian politicians including Babatunde Fashola (the former Governor of Lagos State), Anyim Pius Anyim (former Secretary to the Government of the Federation), Godswill Akpabio (former Governor of Akwa Ibom State), Liyel Imoke (former minister, and Governor of Cross-River State) and Nnia Nwodo. He obtained his Ph.D. in law from the London School of Economics and Political Science. He is senior legal officer with the Africa Program of the Open Society Justice Initiative. Based in their Abuja office. Odinkalu is a Barrister and Solicitor of the Supreme Court of Nigeria and also the Chairman of the Governing Council of Nigeria’s National Human Rights Commission. Prior to joining the staff of Open Society Justice Initiative, Odinkalu was a lecturer in laws at Harvard Law School, Cambridge, Massachusetts, senior legal officer responsible for Africa and Middle East at the International Centre for the Legal Protection of Human Rights in London, Human Rights Advisor to the United Nations Observer Mission in Sierra Leone, and Brandeis International Fellow at the Centre for Ethics, Justice and Public Life of the Brandeis University, Waltham, Massachusetts. Odinkalu have received wide publicity on diverse subjects of international law, international economic and human rights law, public policy, and political economy affecting African countries. He is always consulted to advise multilateral and bilateral institutions on Africa-related policy. The institution that consults him includes the United Nations Economic Commission for Africa, the African Union, the Economic Community of West African States, and the World Economic Forum. Chidi Odinkalu was credited with leading the Campaign against Impunity (CAI), to press for accountability by former Liberian President, Charles Taylor between the years 2004 to 2006. The campaign yielded result by occasioning the transfer of Charles Taylor to the custody of the UN-supported Special Tribunal for Sierra Leone in April 2006. He is also a leader of the FoI Coalition whose efforts were credited with the enactment of Nigeria’s Freedom of Information Act in May 2011. Odinkalu maintains extensive networks across Africa which he built over several years of working for human rights and social justice on the African Continent. He is associated with several non-governmental and academic institutions both within and outside Africa. Apart from his numerous other affiliations, Chidi Odinkalu is a member of the Human Rights Advisory Council of the Carnegie Council on Ethics and International Affairs, the Boards of the Fund for Global Human Rights and the International Refugee Rights Initiative. A member of the Executive Committee of the Nigerian Bar Association (NBA) since 2005, Odinkalu was also the Co-ordinator of NBA’s Practice Section on Public Interest and Development Law (SPIDEL) between the year 2006 and 2010. He is a Trustee of the Human Rights Institute of the NBA (NBA—HRI). He is married, and is blessed with two children.